2.00 tsp Yeast Nutrient @ 10 min. 06.07.18 — Made a 600ml starter which I built up to over 2000ml in the week prior to brewday. 07.23.18 — Dropped pressure to 10PSI, pulled through the beer and began serving. Hazy gold-orange in color with a billowy white headstand that laces nicely through drinking. Tropical fruit notes of pineapple and guava with undertones of lemon and mandarin orange on the nose. Flavors of tropical fruit cup follow the nose, but savory earthy-woody notes enter mid-palate and move into pungent red grapefruit pith with a hint of pine on the dry, bitter finish. The Brett. character here is very fruity, but there is a suggestion of funk that hits the sides of the tongue just before the lingering finish. While not working on the buildout for Best of Hands Barrelhouse, or beertending at The Beer Junction, I cultivate my brewing chops by developing test batches of definitive recipes Gregory and I have written, as well as continuing to experiment with more esoteric fermentations. 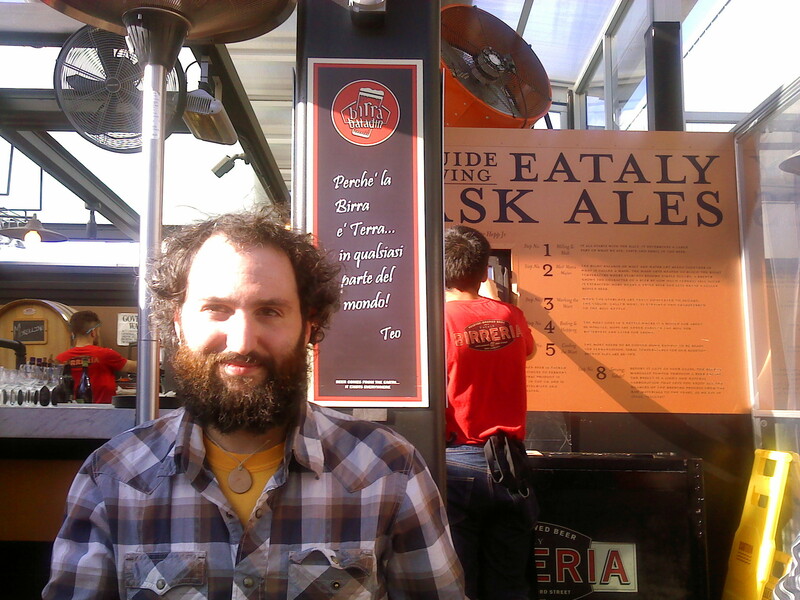 The beer documented here, is a prime example of my desire to push beyond the norm, and explore other methods of producing unique and uncommon flavor profiles in beer. To keep our personal kegerators stocked, and when we don’t feel like making the same thing, Gregory and I will often prepare 20+ gallons of a particular wort and then split it, each undertaking different fermentations to create the beers we wish to imbibe at home. 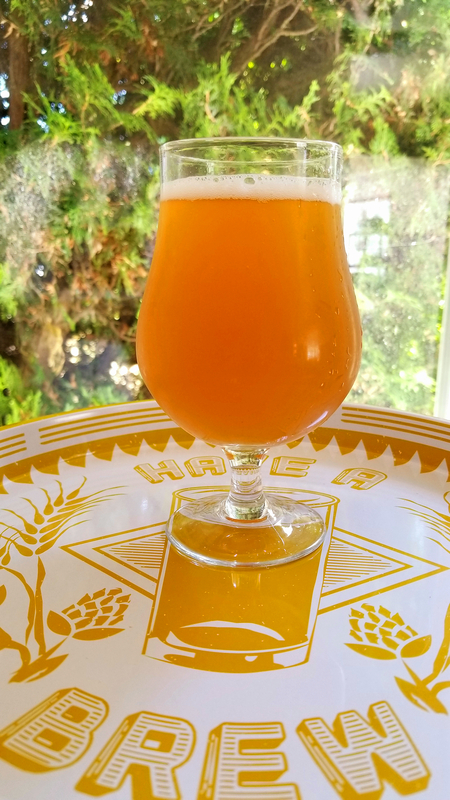 This particular beer’s wort began as the basis for a Bohemian style pilsner lager (Gregory’s version), that I then took out there quite far to create an exceptional experimental Brettanomyces Bruxellensis beer. I made a large two-step Brett. Brux. starter for about a week and a half before the brewday. Before we chilled the wort to lagering temperature for Gregory’s version, I brought the post-boil wort down to about 70F and added roughly a gallon of it to 6oz of store bought organic raspberries (mashed) and 16oz of organic kumquats (cut in half). I let this concoction cool for a few hours in our brewery’s storage space, and then brought it to my basement to sit overnight. Meanwhile, I transferred my portion of the pilsner wort to a sanitized corny keg. The following day, I transferred both the pilsner wort and the gallon of fruited, open fermented wort to a sanitized carboy (including some of the mashed raspberries and 3-4oz of the kumquats). After five days of letting any bacteria/yeast I caught propagate in the wort, I pitched a 1400ml Brett. Brux. starter into the beer. After five weeks and four days, I added my first dry hop addition; five days after that I added the rest of my dry hops, and kegged the beer four days later. Read on for the recipe and tasting notes! 0.30 oz. Columbus (Pellet, 14.5% AA) @ 60 min. 1.10 oz. Saaz (Pellet, 3.0% AA) @ 20 min. 04.09.18 — Mashed up 6oz store bought organic raspberries and cut 16oz store bought kumquats in half. Chilled wort to 70F and covered the fruit mash with a portion of the wort in attempt to provide fruit yeast temp and sugar to propagate. Let sit open in fermentation garage for a few hours and will let sit over night in basement in attempt to catch wild yeast/bacteria. Kegged the reminder of the wort and will transfer to carboy with the fruited wort and some of the fruit tomorrow. 04.10.18 — Transferred the fruited wort to a carboy with some of the raspberry mash and about 3-4oz of the kumquats, racked the pilsner wort on top and applied airlock. Will pitch a hefty Brett. Brux. starter soon. 04.11.18 — Built up remaining approx. 200ml Brett. Brux. starter with additional 32 oz of starter wort. Definitely caught something as airlock has pressure and wort seems to have a krausen or pellicle forming. 04.15.18 — Pitched approx. 1400ml Brett. Brux. starter into the beer. Still pressure in airlock and small krausen present. 04.16.18 — Light fermentation activity ~ 10 hrs after pitching the Brett. starter — constant bubbling in airlock. 04.25.18 — Fermentation has ramped up a bit, about a half inch krausen, constant and frequent bubbling in airlock. Put a brewbelt on for 10 hours overnight but no noticeable difference in fermentation this morning. Took off and replaced towel for UV protection. 05.24.18 — Added half + EKG of the dry hops to primary as still slowly fermenting. 05.29.18 — Added final dry hop addition to primary. Billowy head-stand that dissipates quickly. Slight chill haze present. Lemon, grapefruit, and unspecified floral/herbal notes upfront on the nose, with supporting aromas of wildflower honey, overripe pineapple and horse blanket from the brett. Bright, intense citrus-orange acidity hits the palate first with spicy-earthy undertones quickly following. Spruce tip and pine-like flavors enter mid-palate and give way to a lemon-menthol sensation akin to a much milder Ricola lozenge. Off-dry, spicy-herbal notes on the lingering finish. We like to keep up with trends and fads in the beer world — it helps to keep recipe development skills sharp, it can present a challenge, and it’s down-right fun (especially when you enjoy the styles that come into vogue). At this moment, so called New England, or juice/smoothie style ales (usually IPAs) are all the rage here in Seattle. As I understand it, this style is actually a confluence of two different but similar brewing processes that emerged sometime in the last decade but have only recently infiltrated the zeitgeist. Most beer enthusiasts attribute the style to Vermont’s The Alchemist Brewery and their flagship IPA Heady Topper (hence the “New England” moniker); however, Stockholm’s Omnipollo has been producing juice/smoothie IPAs for quite a while as well. 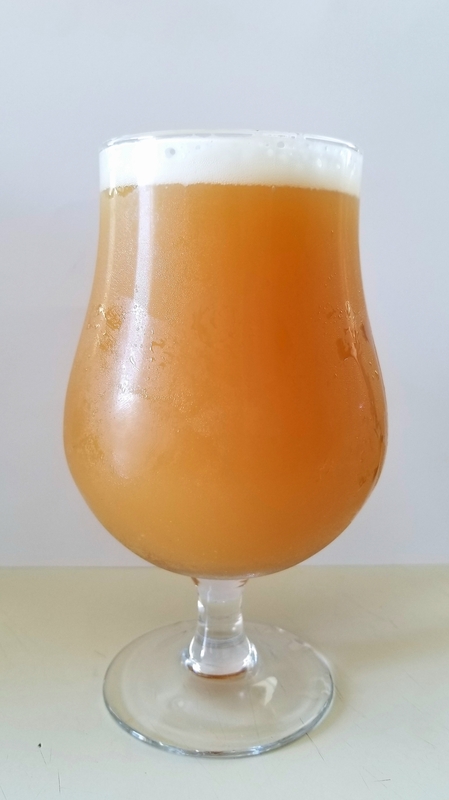 Regardless of who the progenitor of the style may be, a few key factors have coalesced to help us brewers and imbibers determine what makes a “juice-style” ale. First and foremost is the water profile. To aid in achieving a softer mouthfeel, most research recommends a higher ratio of calcium chloride to calcium sulfate (gypsum) in the treatment of your liquor. Some brewers will also dough in at a higher temperature to accentuate the roundness of body and mouthfeel. Next is the addition of more flaked grains in the malt bill — this adds body, head retention, and haze to the finished beer. 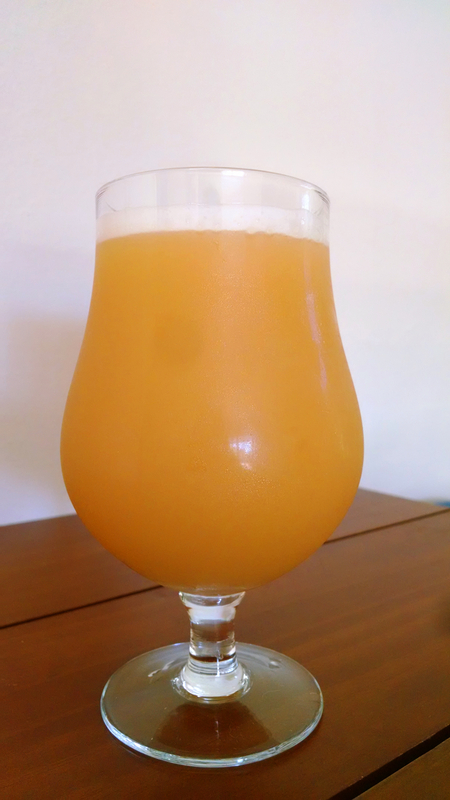 To get the desired smooth, bright and juicy flavors associated with oranges, pineapple, grapefruit, and mango, it is important to keep early bittering hop additions very low, or to skip them altogether in the hops schedule. Many brewers choose to first-wort hop and then add the bulk of their additions from five minutes to flame-out, while aggressively dry-hoping the beer in primary and secondary with hops like El Dorado, Citra, Mosaic, Amarillo, Nelson Sauvin, Galaxy, etc. Omnipollo regularly adds lactose or oat milk to their juice/smoothie IPAs, while The Alchemist reportedly doesn’t bump their flaked oat content, relying on the massive quantities of late addition hops and abstaining from filtering to achieve the haze in their New England IPAs. 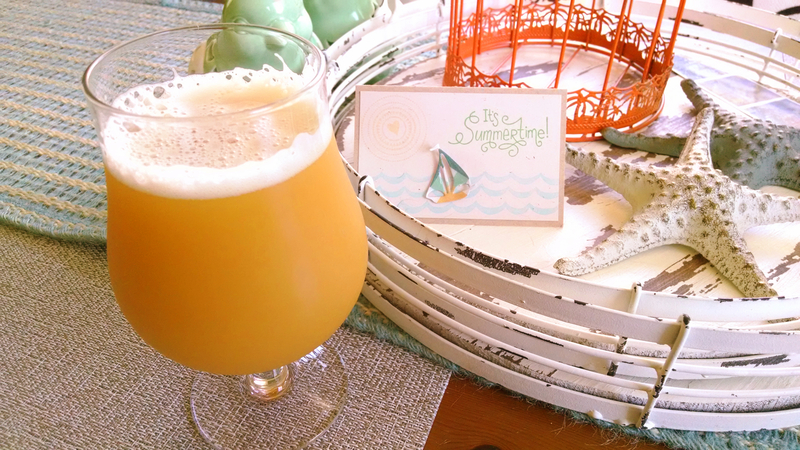 Gregory and I decided to brew a hoppy and sessionable “juice style” pale ale for the PNW summer we’ve been enjoying. 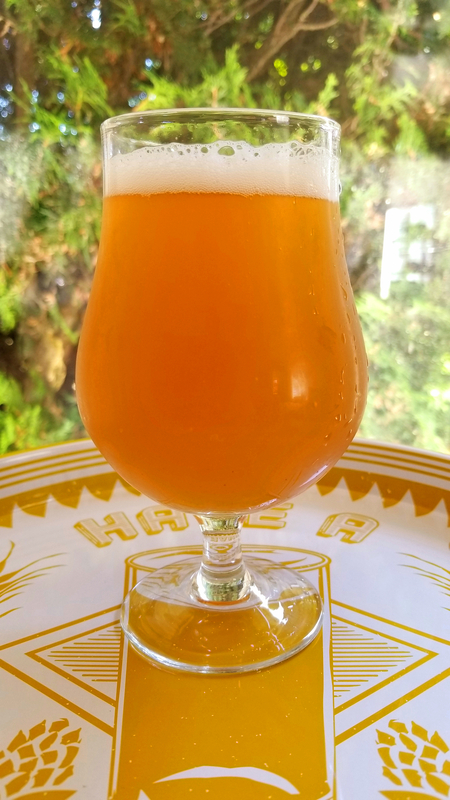 We did slightly bump our usual approximate 1:1 chloride to sulfate ratio, but following Scott Janish’s excellent article Mouthfeel Softness | New England IPAs, we bucked traditional wisdom and decided to slightly accentuate the sulfate content for an approximate 1:1.7 ratio. Gregory and I, along with partner Chris Richardson are turning our love and passion for beer and brewing into a full-time business venture by opening Best of Hands Barrelhouse in the West Seattle neighborhood! We will begin operations on a 7BBL direct-fire system and we aim to open our doors winter of this year or early 2018. We are currently demolishing and making repairs at the space, and awaiting our construction permits. You can read about the iconic building we’re leasing here, and please follow us on our Facebook page for updates on our progress! 0.50 oz. Citra (Pellet, 13.8% AA) @ 60 min. 6.00 oz. Citra (Pellet, 13.8% AA) @ 0 min. 5.00 oz. Mosaic (Pellet, 12.5% AA) @ 0 min. 3.00 oz. El Dorado (Pellet, 16.0% AA) @ 0 min. 3.00 tsp Yeast Nutrient @ 10 min. Opaque hazy orange in color with billowy white head stand which persists throughout drinking. Intense satsuma orange and red grapefruit notes on the nose with a hint of minerality in the background. The citrus notes dominate the round palate with some hints of pineapple-like tropical fruit juiciness. Because we mashed at a lower temperature, the beer finishes quite dry with the impression of coarse tannic mango, and a long lingering grapefruit pith bitterness. All images and writing on this website, unless otherwise noted, are the original work and property of Nicholas Marianetti/The Dude Imbibes. Please do not copy or redistribute images or writing for commercial purposes. Kindly give credit if referencing or using the work as inspiration!